In Henry Cole's beautifully illustrated sequel to Brambleheart, reminiscent of Brian Jacques's Redwall and Avi's Poppy series, Twig's fantastical adventures continue as he and his animal friends set sail to reunite Char with his dragon family. Twig never thought he would leave the Hill again. 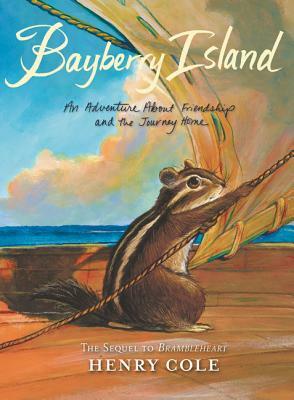 But now Twig and his friends Basil and Lily find themselves on a dangerous journey downriver to bring Char home. Unsure of where they are going, or how far they will travel from home, the crew will have to work together and find their sea legs if they want to stay afloat. Will they survive the catastrophes nature throws their way and find Char's mysterious island home?